Home > Why study market research? "I found the MRS Advanced Certificate really interesting and challenging; it helped me understand the research process much better and I often use elements of what I’ve learned in my day-to-day work. It is definitely worth the time and effort, and I have no doubt that my career will be furthered as a result". "Completing the Advanced Certificate in Social and Market Research was a very straight-forward and enjoyable process. I hadn’t done any studying since university days (over 20 years earlier) so it was great to have Virginia’s support as my online tutor with writing my assignment and following the course materials leading up to the exam. 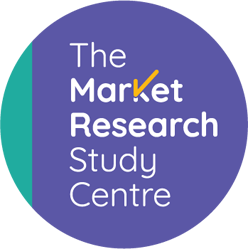 The content of the course has been very useful to me, both helping me fulfil the responsibilities of my current position in consumer market research and in giving me a broad grounding and understanding of the wider research arena. I would definitely recommend getting this qualification if you intend to spend any part of your career in the research industry". "Studying for the MRS Advanced Certificate has proved to be invaluable in improving the quality of the surveys and questionnaires our organisation instigates. We are now getting good quality data and can perform meaningful analysis". "I completed the ‘MRS Advanced Certificate in Social and Market research’ course in 2018. The course has overall helped me in my professional life by getting a broader understanding of the market research industry, resulting in making me more confident to answer client briefs and support my suggested research methodologies and sampling requests". "The Advanced Certificate provided me with a greater overall understanding of Market Research and the process was made a lot easier with the invaluable help and advice I received from my tutor, Hilary Birt". "Taking the step towards completing the MRS Advanced Certificate was scaring me for a long time, but I cannot explain how happy I am for taking it. I’ve learned a lot about the research process, but more importantly it gave me the confidence to speak to my stakeholders about best practices and research methods. I believe that completing the course has opened a lot of doors in my career and I would recommend it to anyone who is interested in pursuing a market/customer research career".